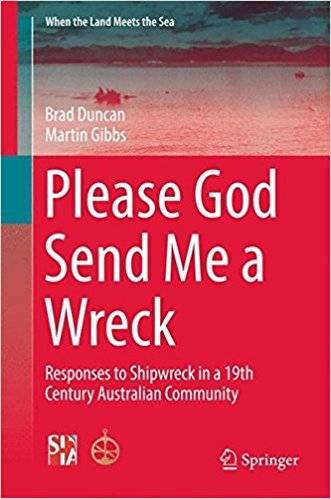 Brad Duncan, Martin Gibbs, "Please God Send Me a Wreck: Responses to Shipwreck in a 19th Century Australian Community"
This book explores the historical and archaeological evidence of the relationships between a coastal community and the shipwrecks that have occurred along the southern Australian shoreline over the last 160 years. It moves beyond a focus on shipwrecks as events and shows the short and long term economic, social and symbolic significance of wrecks and strandings to the people on the shoreline. 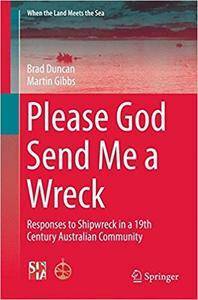 This volume draws on extensive oral histories, documentary and archaeological research to examine the tensions within the community, negotiating its way between its roles as shipwreck saviours and salvors.